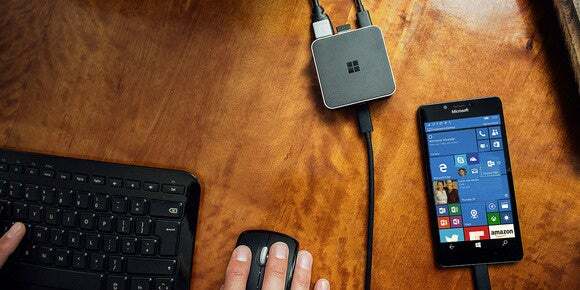 It's like Windows 10 Continuum for Android! Start worrying, Microsoft. We just saw Motorola do something with Android that up to now, only Windows 10 has been able to do. 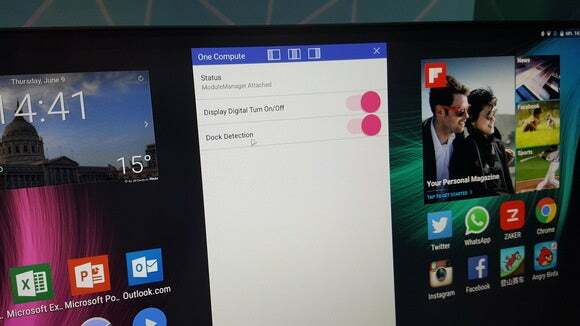 Motorola's OneCompute prototype Moto Mod takes the concept behind Windows 10's Continuum feature—the ability to project a Windows phone onto a PC—and ports it to Android. 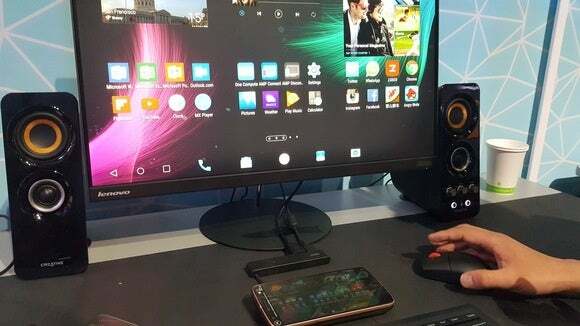 Shown at parent company Lenovo's Tech World exhibition Thursday in San Francisco, OneCompute could further blur the line between smartphone and desktop. 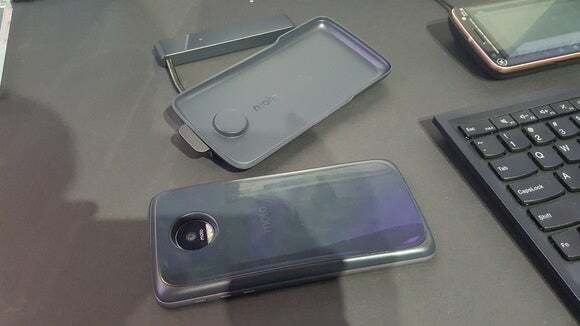 OneCompute is conceived as one of the magnetic Moto Mods add-ons that can clip on to Motorola's new phone, the Moto Z, announced Thursday. The OneCompute technology uses that Moto Mod as a wireless bridge to a wired dock. The dock communicates with a traditional monitor, providing a desktop-like experience. 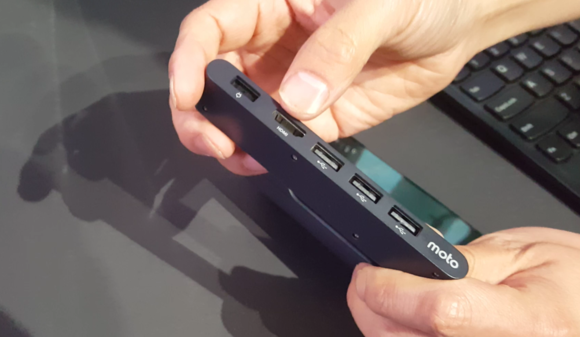 Motorola built its own dock, which boasts three USB 2.0 ports, an HDMI output, and a power connector—all connected to the receiver via a short cable. The external receiver's important because it includes a charging plate, wirelessly charging the phone as it communicates with the display. Conceptually, the whole setup is pretty ungainly—data is passed from the phone to the Mod to the receiver to the dock to the display via an HDMI cable—but it seemed to work in practice. 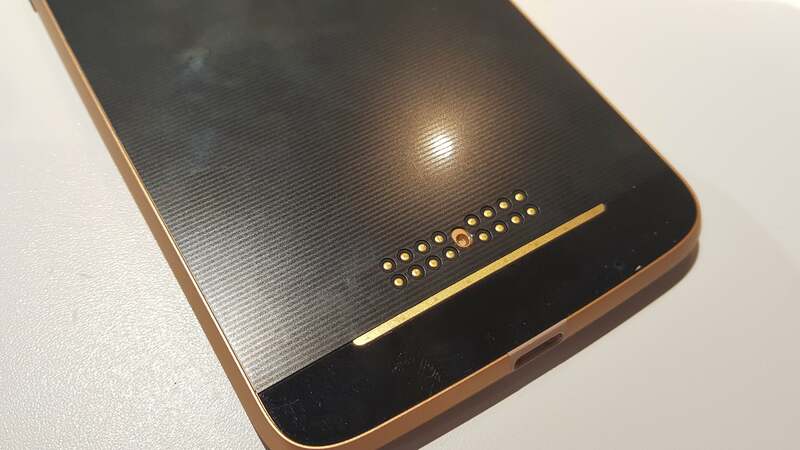 Two pieces still have to fall into place: Motorola needs to ensure that the OneCompute solution works, and cheaply—and that includes the price of the Moto Mod and the dock, too. 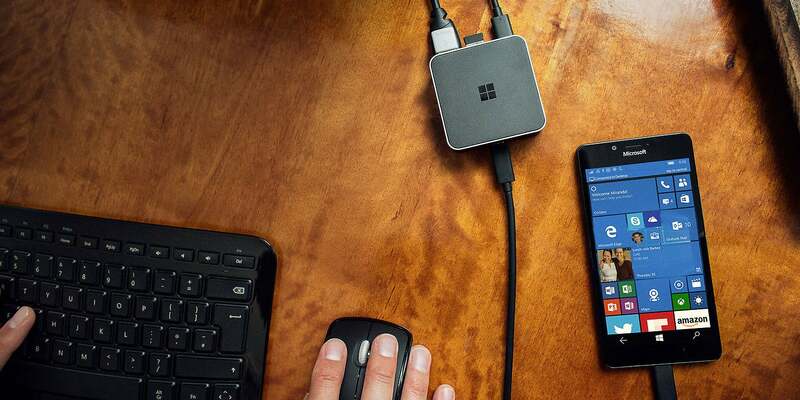 Unfortunately, combining a wireless charging pad, USB ports, and an HDMI connection will probably push up the price considerably higher than the $30 or so I'd prefer. Still, the OneCompute concept means that Android phones could increasingly pressure Windows PCs—bad news for Microsoft, maybe, but a win for consumers.